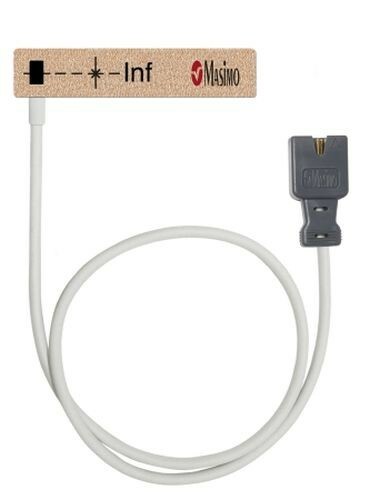 The Masimo Oximeter Sensor LNCS Inf is an 18 inch, single use oximeter, used to measure the amount of oxygen in the blood, and this particular model is designed for infants. 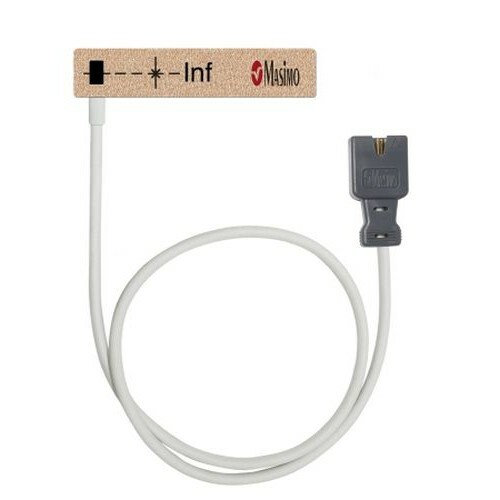 LNCS stands for low noise cabled sensor, so it won’t disrupt sleep or other activities. Using a gentle adhesive, you can place it on fingers, toes, thumb, hands or feet for secure placement and accurate measurements in a non-evasive manner. Masimo Oximeters are the most accurate, used in hospitals all over. With the fastest response time and fewer false alarms, you get exact and detailed information as you need it. Unlike most oximeters, Masimo sensors are even accurate during motion and low circulation. Due to being disposable, this oximeter is more sanitary and reduces the risk of cross-contamination.